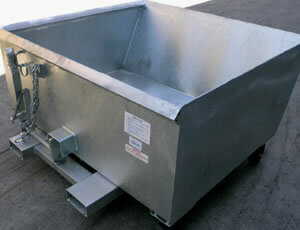 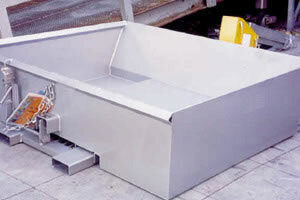 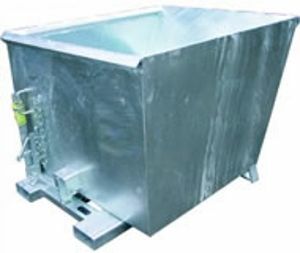 The NTU heavy duty tippler bin is manufactured from 3mm plate and is fitted with fully reinforced edges. 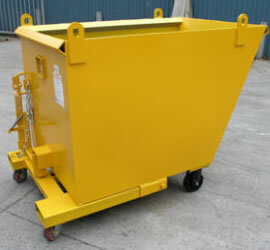 These bins are ideally suited to heavy waste including metal, timber and building site rubble. 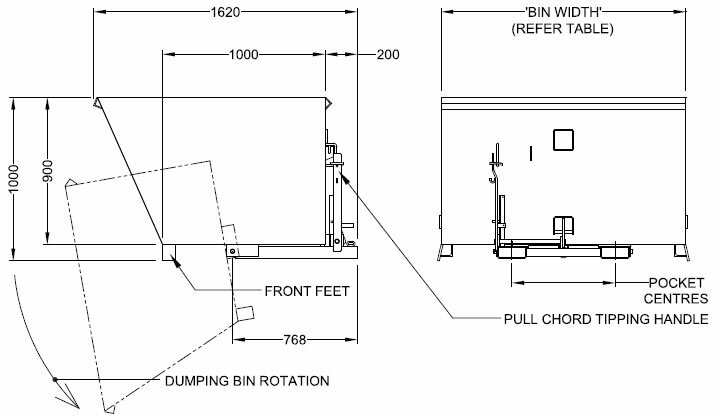 The release mechanism is activated by the Forklift operator pulling the pull chord from the drivers seat. 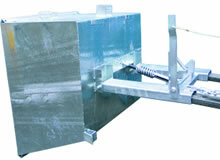 The custom built shock absorber prevents impact forces being transmitted to the Forklift during emptying.